Why see a not-great Hellboy movie when you could read some excellent comics? Good news! The Hellboy reboot is out today. Bad news! It’s apparently not great. Acceptable compromise news: If all the fuss got you interested in Big Red, then there’s plenty of great comics runs with the character that you can check out instead of making a disappointing trip to the movie theater. Here’s a few of our choice suggestions. The latest cover for Seed, from the recent 25th anniversary re-release. Might as well start from the beginning, right? The iconic first Hellboy story delves into his origins, but it’s primarily set well into his career as member of the Bureau for Paranormal Research and Defense, as Hellboy finds himself investigating the death of the professor that brought him in after the Nazi ritual that summoned him to Earth as a child. Hellboy faces Baba Yaga in this supernatural epic. Hellboy encounters a very important little girl and some creepy fairies in this short tale. The end comes for us all, even Hellboy. If Darkness Calls, Wild Hunt, and Storm and the Fury represent epic Hellboy storytelling at its most sweeping and grand, Hellboy in Hell represents it at its most personal and intimate. A saga years in the making, it charts Hellboy’s slow journey of acceptance of his own end, having died at the climax of The Fury. He spends most of that journey wandering around the afterlife fighting demons, sure, but in and among those moments, it’s a story about realizing the permanence of endings, and the sadness and yet also the freedom in all of that. It’s a stunningly emotional arc for Hellboy, and one of his finest. A young Abe goes solo for the first time. 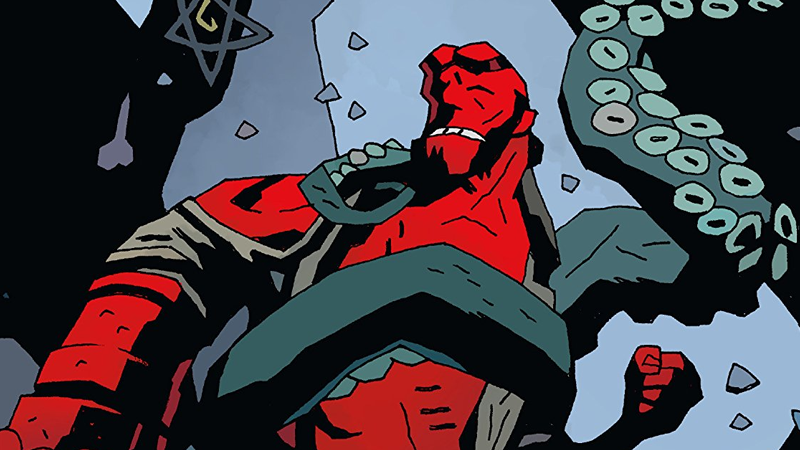 A good Hellboy comic doesn’t even have to actually have Hellboy in it.